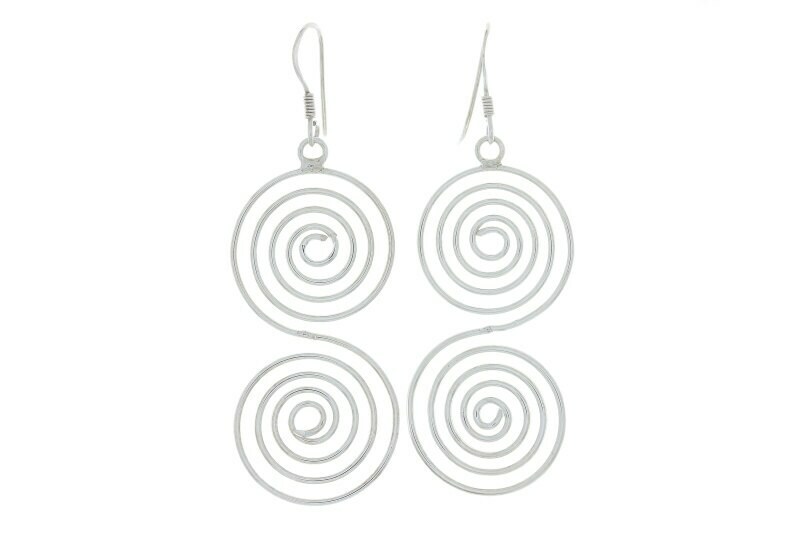 Sterling silver earrings with double spiral design. Spirals are a beautiful symbol of your journey, both of personal and spiritual growth. Lightweight silver earrings for easy all day wear. Material is solid sterling silver. This piece has a high polish finish.